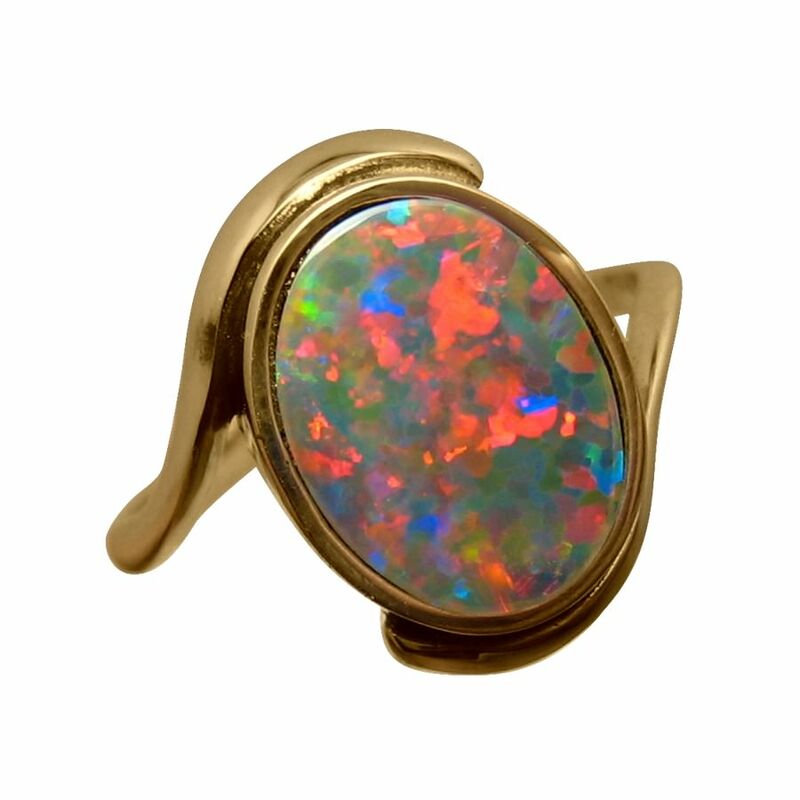 An elegant Opal ring in 14k Gold with a lively Red Opal. 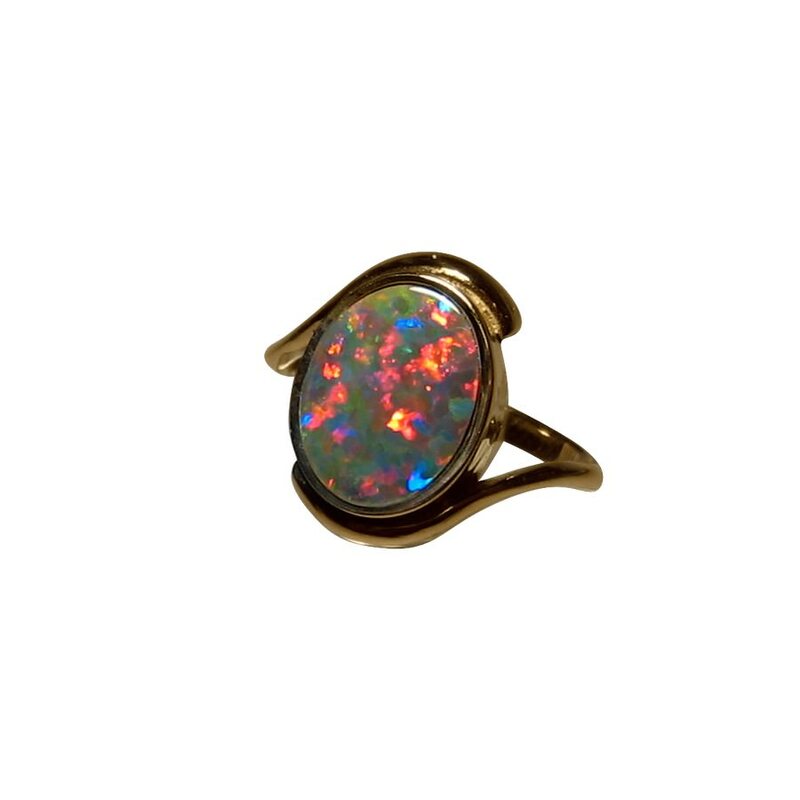 This Opal ring is shown in 14k Yellow Gold which highlights the rich Red in the Opal. 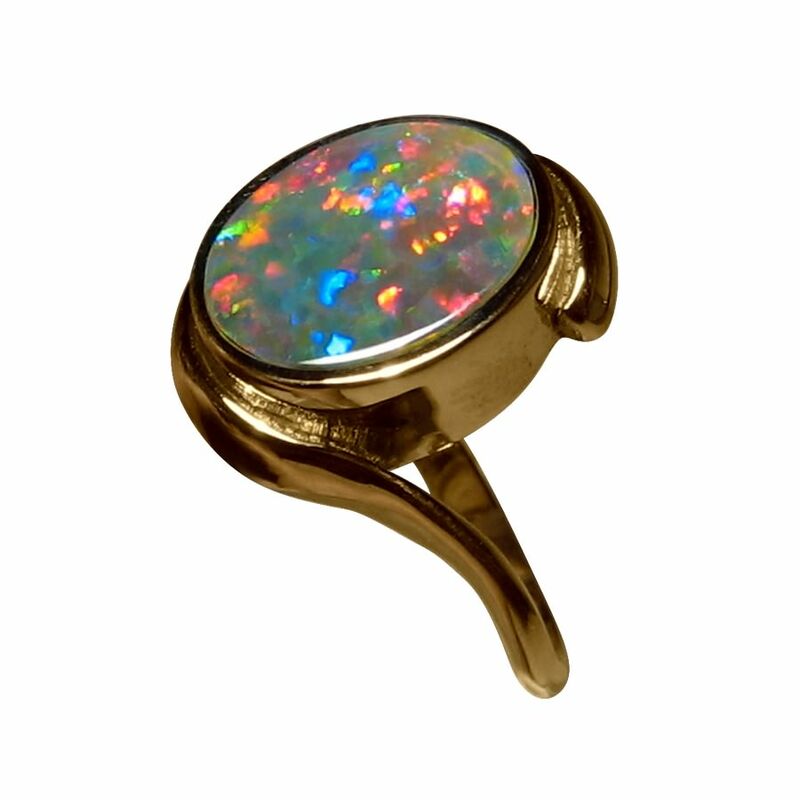 The Lightning Ridge Opal is cut to an oval weighing 1.25 carats and flashes mainly Red with some Blue and the video below will show the play of color and high shine of Gold. 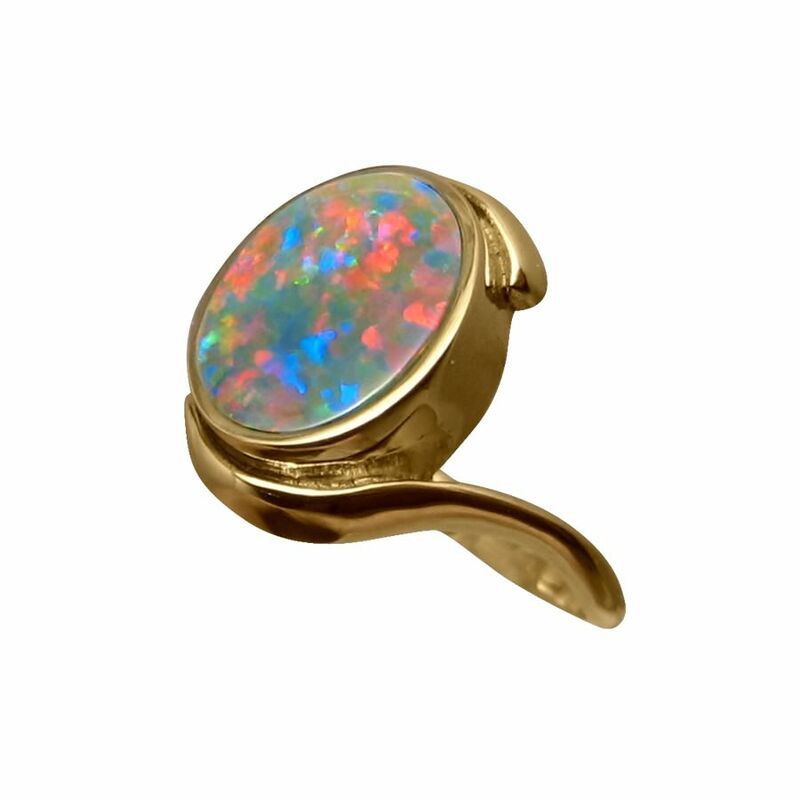 The Opal is inlaid in the ring and as the stone is not yet set, the ring can be made in White or Rose Gold and in any ring size up to a 10. 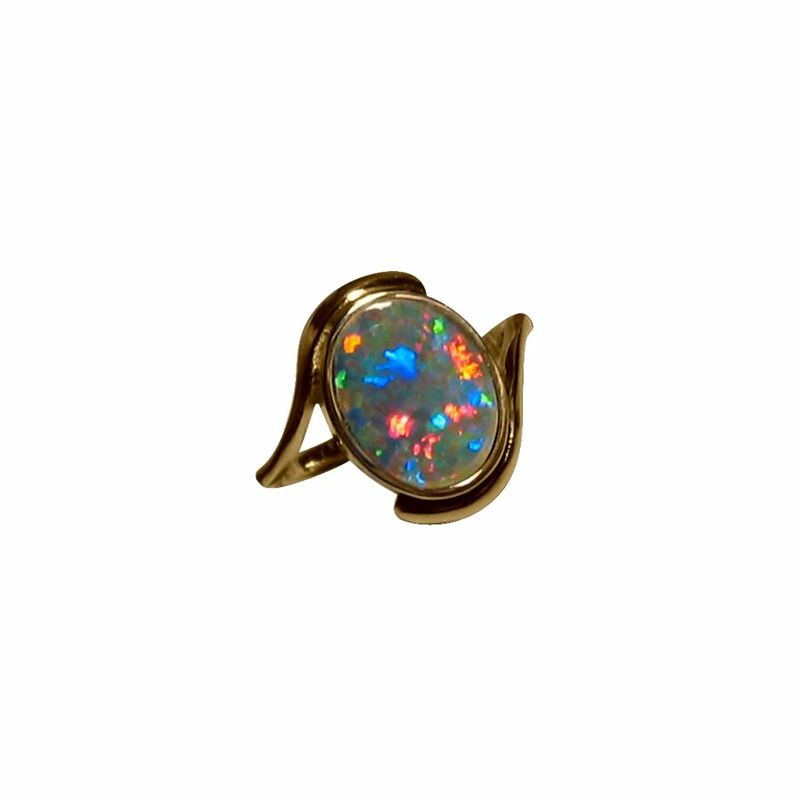 This bright and lively Opal ring is ready to ship as detailed below or will take about 7 days to make in any other ring size or Gold color before setting this exact stone and shipping. 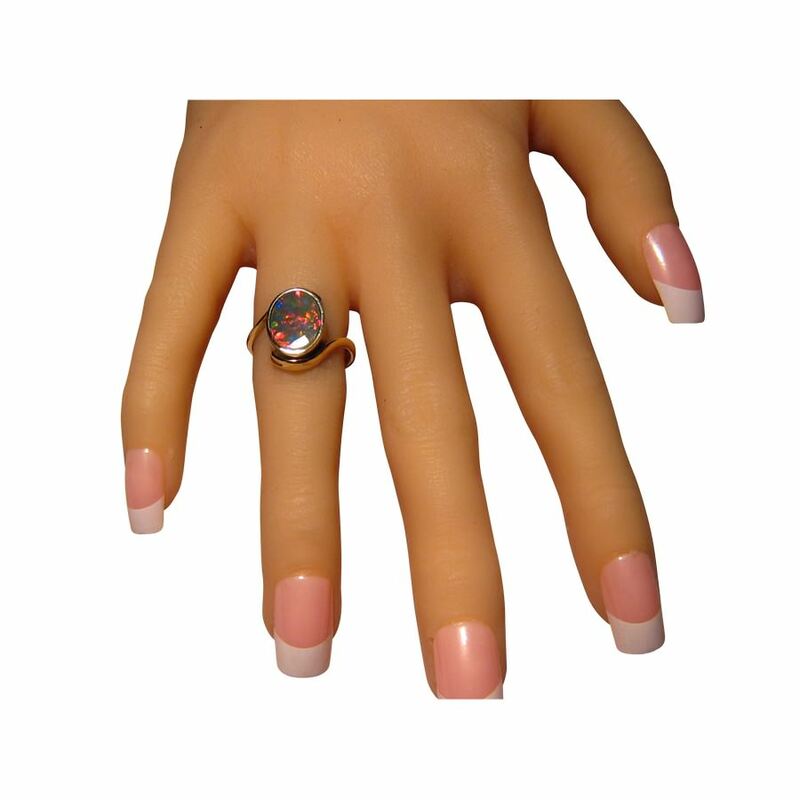 Beautiful opal and very quick for a custom size.